You Know Me Well is the type of book I think a lot of people have been looking for, myself included. I’ve been desperate for more books where characters are out, happy, and just living life. I know we will always need coming-out stories and stories about queer characters struggling with their sexuality, gender, etc., but I want so many more stories about happy queer people, teens especially, who are living their lives and who get a happy ending. And this book...holy queer characters, Batman! I think just about everyone in this book except the parents was queer. You get so used to reading books with no queer characters or maybe the gay friend/side character, so it was refreshing to see this eclectic group of queer kids. 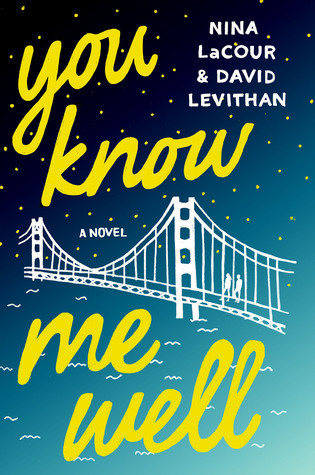 My favourite part of this book was the friendship aspect and the idea that a stranger can see you more clearly and know you better than the people who have known you forever. With longtime friendships, people can see you the way they want to see you or the way you used to be or as what they need you to be and not who you truly are. I think this is particularly true for teens when you’re trying to figure out yourself and the world, and you’re constantly changing but some people only ever see you one way. The uncertain teen who still lives inside me connected with this story and these characters, and while Adult Me realized the story was a touch idealistic at times, it was Teen Me’s emotions that overruled and loved this story for exactly what it was: a story about friendship, love, and figuring out life. I think it was one of those ‘right time’ books for me - the type of book where if I read it at another point in my life, it might not have resonated as much, but I picked it up at the exact right time and it really struck a chord. It left me smiling, teary eyed, and completely satisfied. You Know Me Well is beautiful and poignant in its sweetness and simplicity. 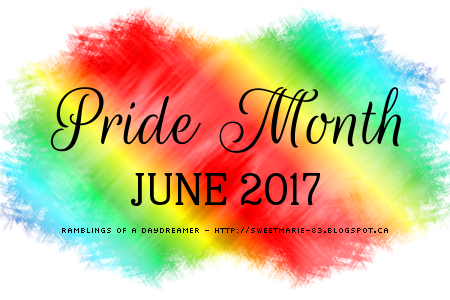 If you’re looking for a quick contemporary, especially one with LGBTQ+ characters, be sure to give this one a try. Have you read You Know Me Well? What did you think? If you haven't read it, do you plan to? Do you know what I mean by 'right book, right time'? Does that ever happen to you? I totally agree with you. It's kind of nice that the characters can be LGBTQIA and be shown living a life just like everyone else. I love Levithan and I thought this book was fun. Great review!